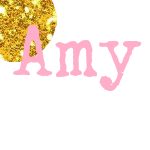 I love sending treats to school with the kids at different times during the school year. 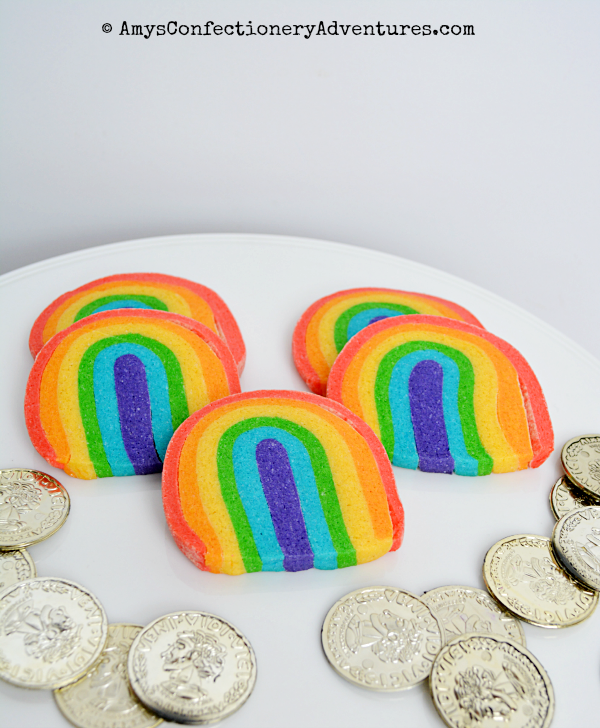 These fun rainbow cookies are great for St. Patrick’s Day or just for anytime! To make the cookies, use your favorite sugar cookie dough and split it into 6 pieces. The pieces don’t need to be equal in size…you’ll need more red than purple once you start stacking. 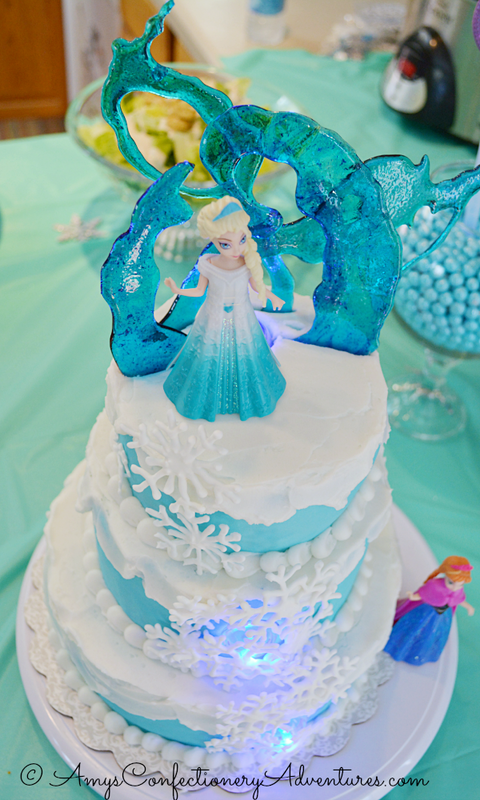 With the cold snap much of the US has been experiencing, I thought today would be an excellent day to share Elsa’s Ice Castle Cake! Ready for a sweet little Valentine cake? This was a last minute cake order, so I kept it simple and classy. 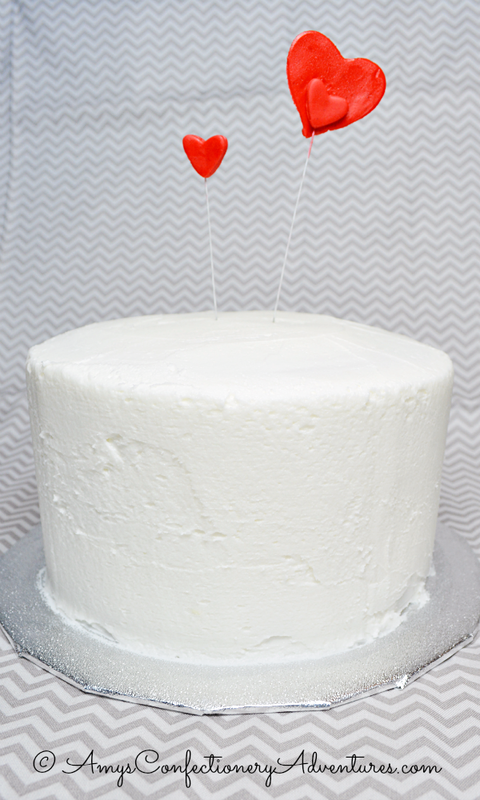 I love the look of a plain white cake with little hearts coming out the top!